Gift Boxed set of 2 ceramic bowls with wooden spoons. Bowls diameter 21cm x h4cm, spoons are 19cm. Bowls are microwave & dishwasher safe. 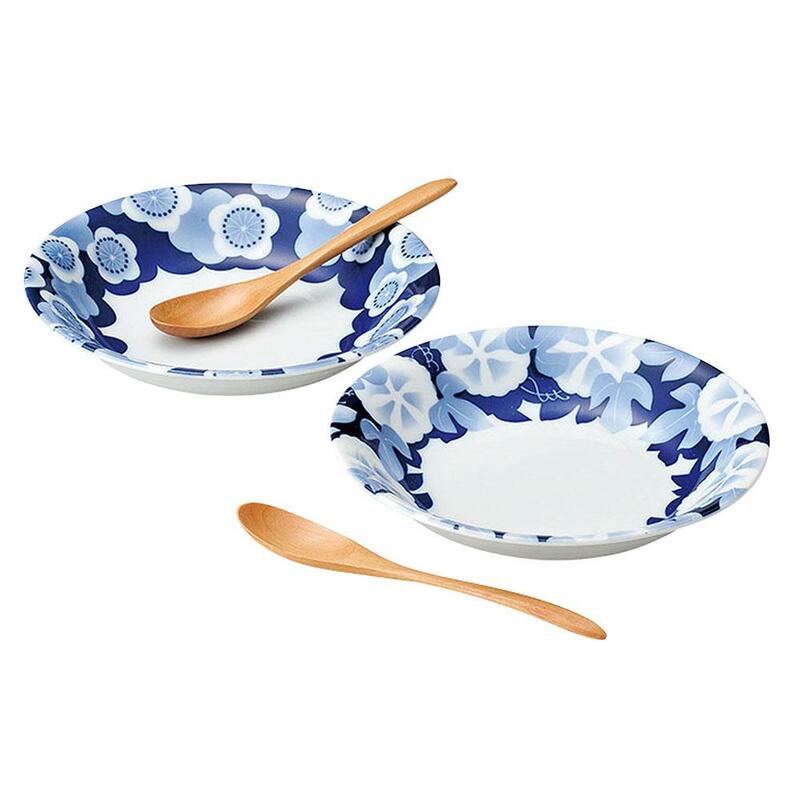 Blue & white bowl set makes a great gift for a couple.